Make this the Best Easter Ever! 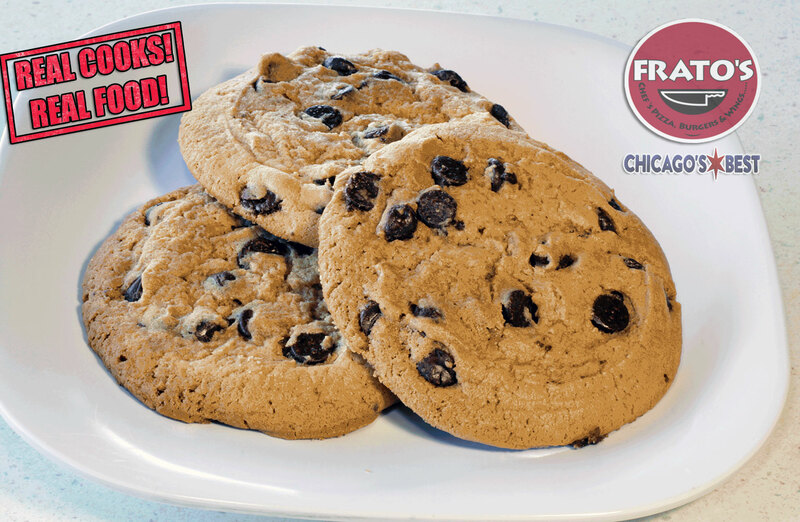 Get FREE Homemade Cookies on an Easter Catering from Frato’s! Order Frato’s Catering Online for Pick-up on Easter Eve (15th) and get FREE Cookies! 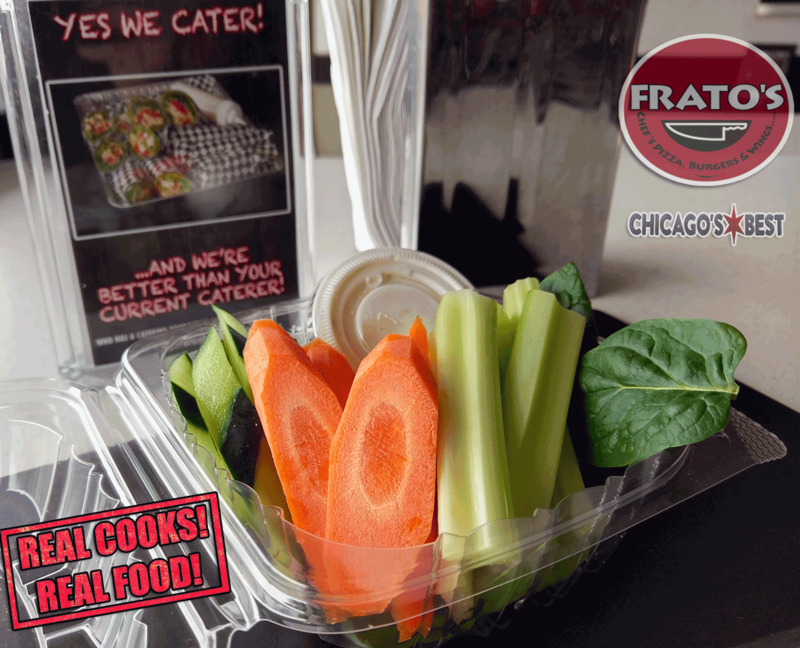 Order a Cold Wrap Bar or Tray, NEW Hand-cut Veggie Trays or Frato’s 4-Cheese Take Home and Bake Lasagna! Pick it up on the 15th and you’ll automatically get FREE Homemade Cookies with your order. Must place order by April 14th, latest. 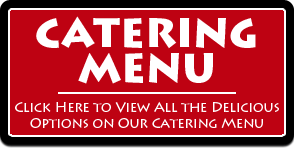 Order Online @ www.FratosCatering.com or Leave a message for a Catering Manager at 847-895-2122 or Email our Catering Team directly at FratosPizza@gmail.com to place an order or to ask any questions! Happy Easter from Everyone at Frato’s! Need to Feed a Large Group of Hungry Football Fans? Fantasy Football Draft Coming Soon? You can’t draft the best Fantasy Football Roster without the Right Food! Frato’s Pizza & Catering in Schaumburg is the One-Stop Shop for your Football Party Needs!! The Ultimate Football Pizza Party Package! Order 1 Day in Advance and get Free Delivery to most areas nearby! Upgrades available for HUGE Handmade Mozzarella Sticks, Trays of Parmesan Garlic Dippers (Fried Dough Bites) & More! PS. Coming Back in September! Frato’s Ditka Burgers & Ditka Sausage Pizza (As Seen on WGN News!). Chicago Bears Fans Favorites! PPS. Coming Back in September! The Chicago Bears Burger of the Week (As Seen on WGN News!). 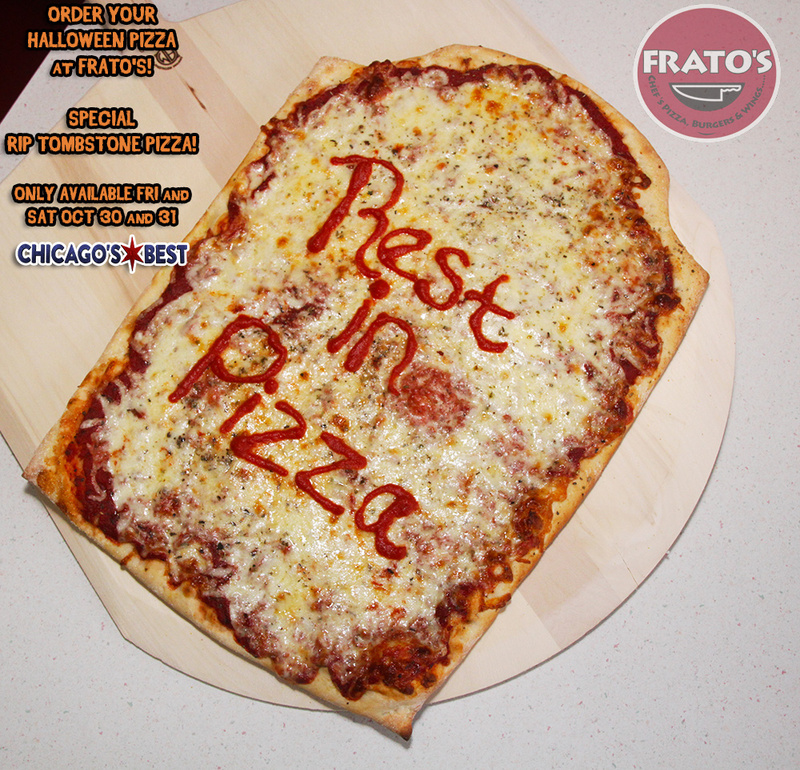 Devour the Competition at Frato’s Pizza & Catering in Schaumburg! YOU GET WHAT YOU ASK FOR AT FRATO’S PIZZA & CATERING IN SCHAUMBURG! We Supercharged our Cooks to make your Food Faster! $100 (+ tax) for 5 x 18″ Loaded Handmade Pizzas! 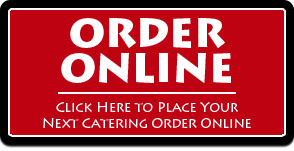 We simplified the variety too making online ordering even easier! 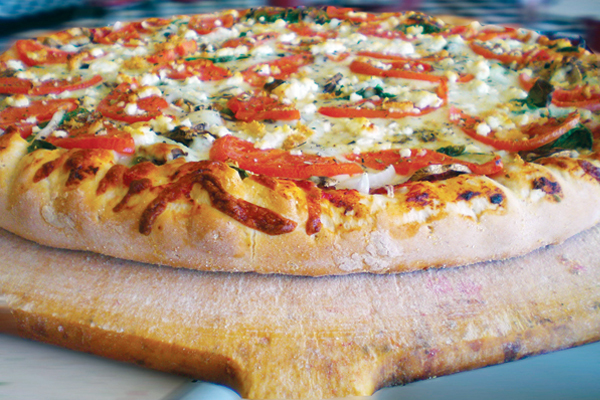 Each Pizza comes from a preset category (Basic, Spicy, Vegetarian, Meaty, and Local Favorites). That way, you are offering something for everyone without having to take forever to figure it out! You should be able to order this in under 3 minutes total with Free Delivery & Setup in most cases (pending distance from restaurant)! Order in advance (24+ hours) and Delivery Time is GUARANTEED! If we are late by more than 15 minutes of the set delivery time, it’s FREE! There is a reason your current caterer doesn’t offer it! We believe in what we do here at Frato’s Pizza & Catering in Schaumburg AND we will back it up with a GUARANTEE! UPGRADES AND EXTRAS TO FEED MORE PEOPLE AND ADD VARIETY! Need to feed more than 20-30 people? We have add-ons! Huge Handmade Mozzarella Sticks! 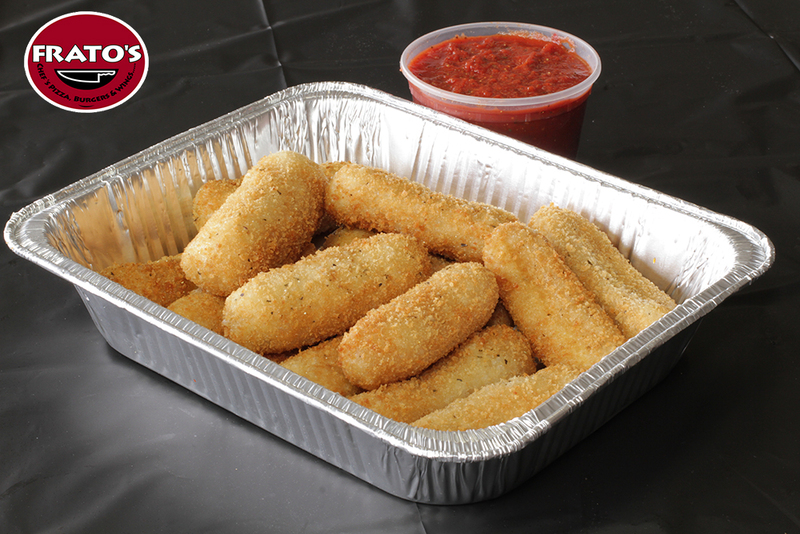 Order a Tray of 15 with Marinara and Ranch Dipping Sauces! How about Fresh Homemade Ice Cream Shakes! Frato’s Tahitian Vanilla Shakes! 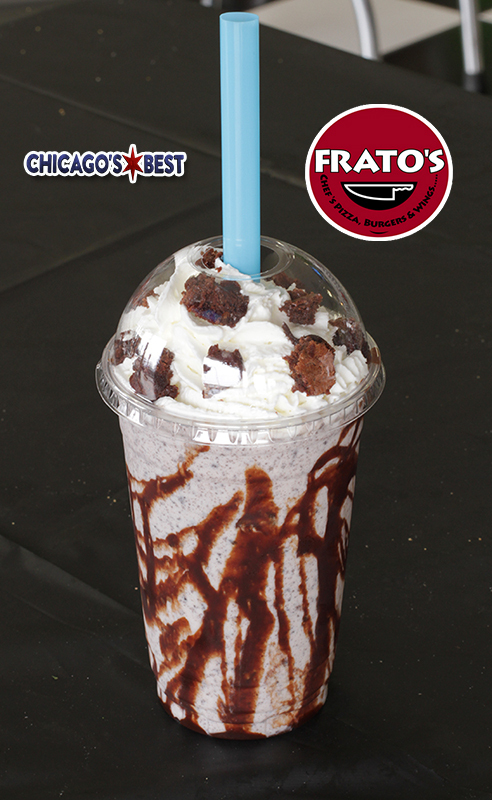 Easy ordering of multiple Large Shakes for Fresh Brownie Shakes & Frato’s NEW Chocolate Espresso Shakes! 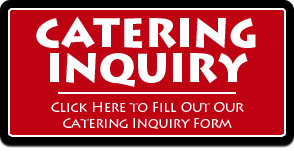 Reach out to a Frato’s Catering Manager at anytime to assist you with placing an order or answering questions. We plan for all types of events from Corporate Office Luncheons to Pharmaceutical Rep and Doctor’s Office Lunches to Birthday Parties, Seasonal Holidays and even Weddings! These Massive Handmade Mozzarella Sticks will change your life! 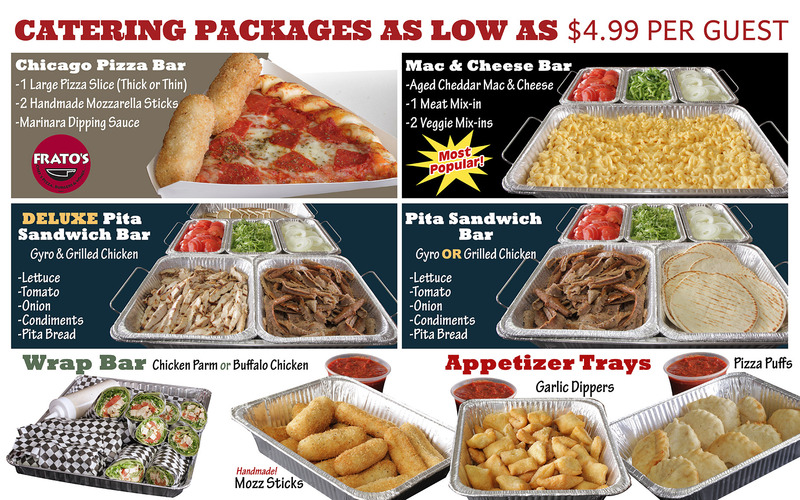 Frato’s Catering Package of Pizza & Mozzarella Sticks for only 4.99 per person! Impress your Guests this Holiday with the Best! 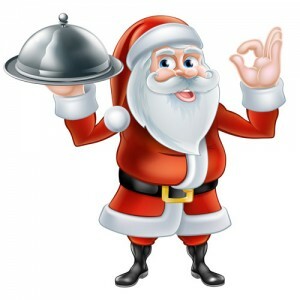 Let our Chef do the work! FREE Delivery & Setup within our standard delivery range! 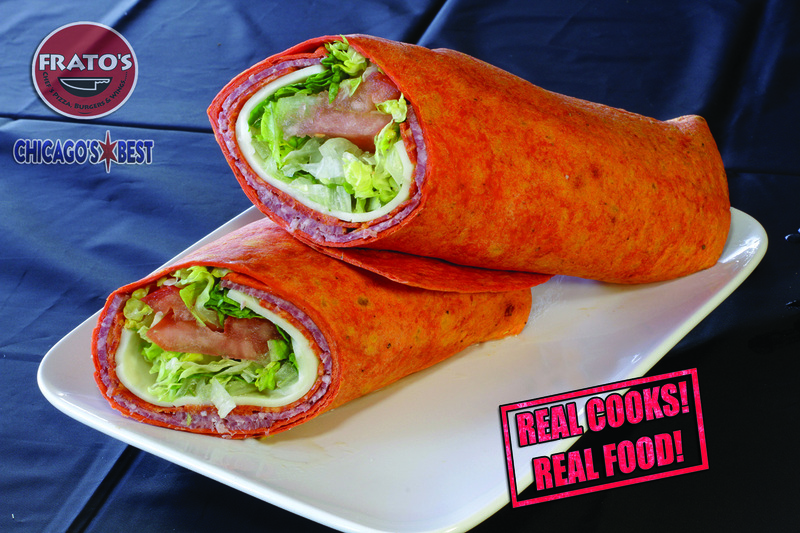 Try Frato’s NEW Fresh Chicken Parmesan Wrap Catering Bar! 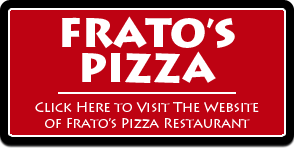 We recently announced our Frato’s Black Friday Special at our Restaurant in Schaumburg, a Buy 1 Pizza, Get 1 FREE Pizza! After Black Friday, it’s time to put focus on the rest of the Holiday season with Frato’s Catering! We are all pressed for time these days in our personal lives. No more are the days when families have the time to make a gourmet meal from scratch. With all the great options these days, we no longer have to worry about making everything from scratch. Wouldn’t it be great if Chicago’s Best #5 Top Independent Pizzeria in the entire Chicagoland area catered your dinner?? For businesses, it’s best to show appreciation to your hard-working employees. What better way than to share a great professionally-catered meal together with smiles and laughter? While the kids are carving Pumpkins for Halloween or out Trick or Treating, you can use some of those pumpkin leftovers to make a delicious Pumpkin Puree. Recipe from Chef Ed of Frato’s Pizza & Catering in Schaumburg! At low speed, beat in flour mixture until combined. Turn batter into prepared pans, dividing evenly, and bake for about 65 – 75 minutes, or until cake tester inserted in center comes out clean. Let loaves cool in pan about 10 minutes, then turn out on wire rack to cool completely. 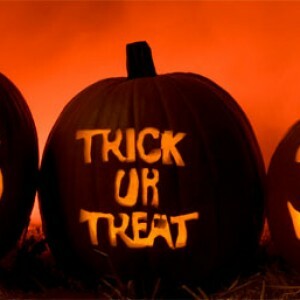 Roast the Pumpkins in a 375 degree oven for Roughly 25 to 30 min. The skin should easily come off the pumpkin. Consistency of a thick Apple Sauce. 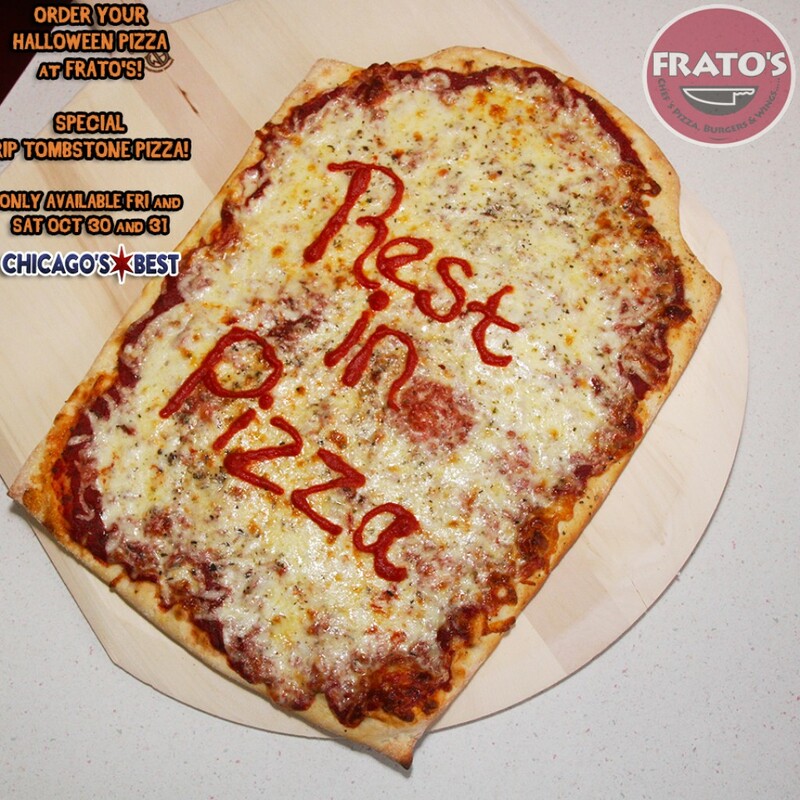 On a side note for Halloween, did you know Frato’s Pizza & Catering will be selling unique 16” RIP (Rest in Pizza!) Tombstone Pizza’s on Friday October 30th & Saturday October 31st (Halloween 2015)? Limited Time Only! On Halloween, you can even receive 1 FREE Ghost Shaped Brownie with your RIP Tombstone Order (limit 1 per day, per order)! No special coupon code needed, it will automatically come with your order! 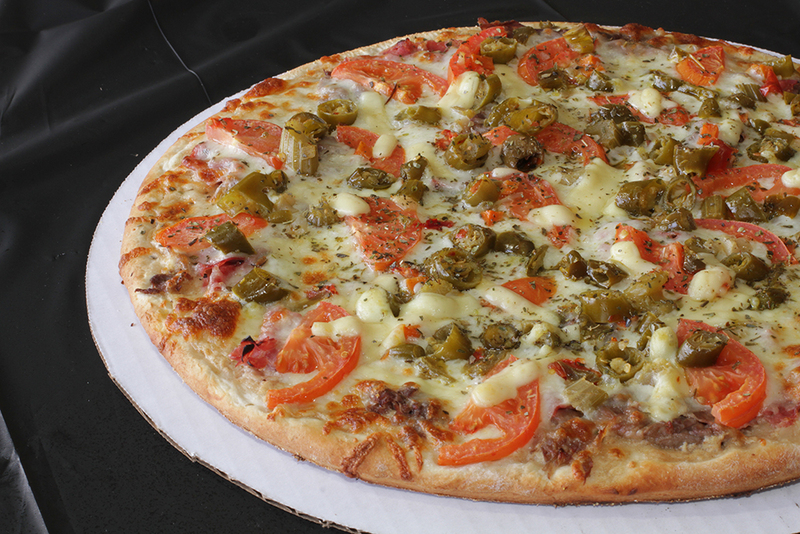 For easy ordering, you can Order Online or from your Mobile Phone in advance at www.FratosPizza.com with FREE Delivery to Schaumburg, Hoffman Estates, Elk Grove Village, Streamwood, Hanover Park, Roselle and even parts of Rolling Meadows, Bloomingdale, Itasca & Medinah! You can always call in your order at 847-895-2122 as well! Please note that delivery times will run slightly higher as these pizzas will be a hot seller, but you can always order pick-up as that should remain unaffected. Have a great and safe 2015 Halloween from everyone at Frato’s Pizza & Catering!